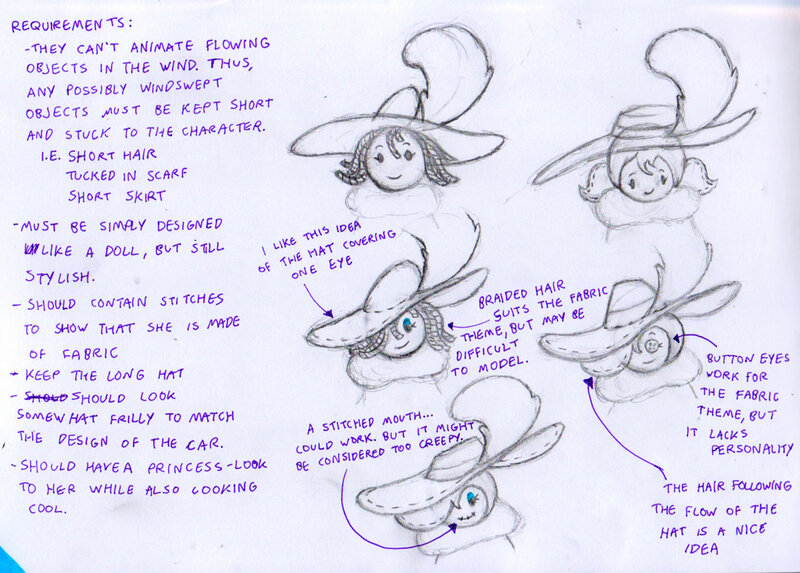 Choosing a material for a female character to be made out of was pretty obvious; fabric. It’s the softest, and most beautiful materials there is. 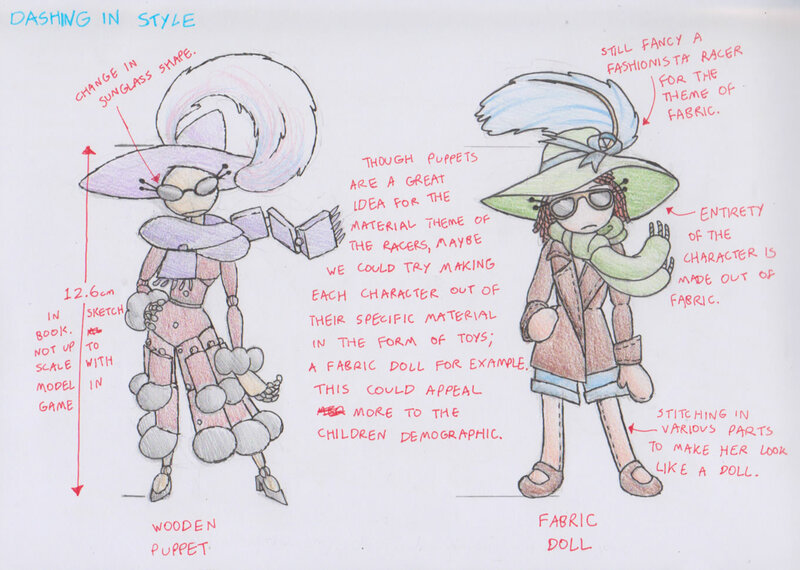 Yeah, it’s a very stereotypical choice, but we really didn’t have much time to develop personalities for these characters to make choosing the materials they’ll be made out of more specific and creative. 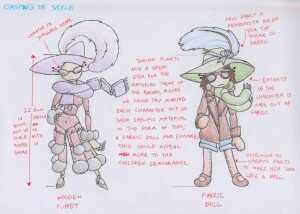 That being said, I imagine even under different circumstances, I still would have made the lead female character out of fabric because it’s just such a fitting choice. 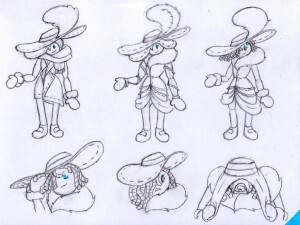 When it came to that decision, designing the character also became a bit more obvious; a very posh-looking lady. Hey, sometimes there’s nothing wrong with making the most obvious choices. 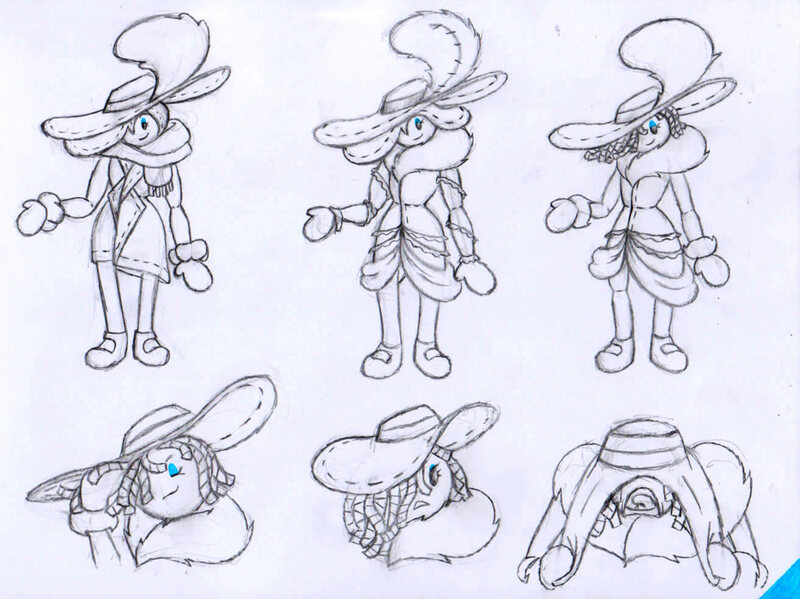 Anyway, I wanted to the fabric idea to play more into the character’s design rather than just her clothes, so I made the decision to make her a fabric doll, with the noticeable thread patterns on the sides of her skin and clothes, and her hair being made out of plaited thread. On top of that, she needed to look raceworthy, like I could imagine her in a driver’s seat, racing at a million miles per hour with a casual look and posture to her disposition. So I went for something elegant, but also trendy enough to be considered race car driver material. Coming up with her personality in this way was also a cinch as well, as it was best to portray her as snobbish to match her gaudy attire. But in the back of my mind, I wanted to give her the classic bottom-to-the-top story where she started out as a dirty doll (don’t take that the wrong way) and started racing by making her cars out of rags. After winning successfully, she got popular and got clean, rich and famous. This would at least make her more relateable than someone who just got born into wealth. 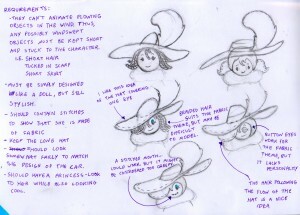 Unfortunately, the programmers could not have enough time to use her in the game. I would’ve liked to see her 3D model, but oh well. Them’s the brakes I guess (no pun intended).